The program and associated costs have been structured with working professionals in mind. With a manageable course load, affordable tuition, and student loans available, the Master of Science in Decision Analysis is a unique graduate education made accessible for those seeking an alternative to traditional MS or MBA programs. 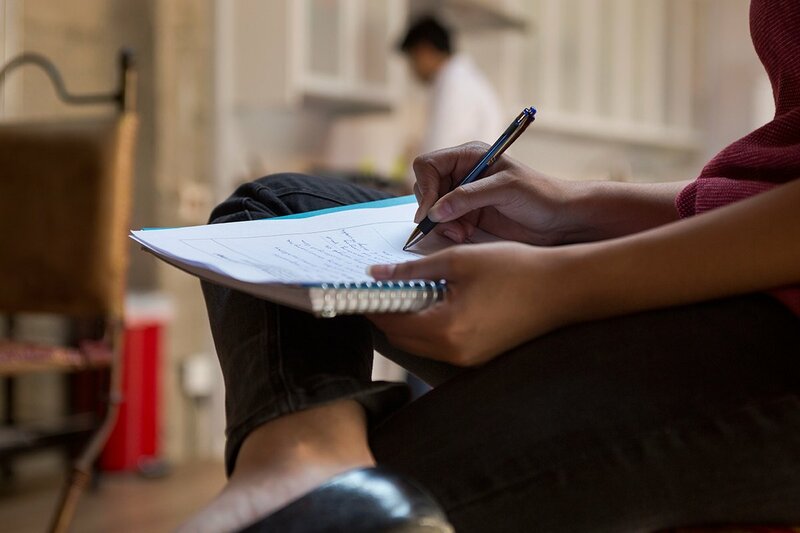 A student takes notes while studying. Your loan application is reviewed in an entirely independent process from your application to the Master’s program. Applying for a student loan will not impact your admissions decision in any way. All admitted students are eligible to apply for a low-interest student loan covering up to 50% of tuition costs. To apply for a low-interest student loan, you must first be admitted to the Master’s program and then request a student loan application. To receive detailed information about the loan option, when available, email financialaid@minerva.kgi.edu. Admission cycles for Fall 2019 enrollment are now closed. We are accepting application by nomination and invitation only at this time. To request an invitation, please email masters@minerva.kgi.edu with your CV for consideration. To nominate a rising leader, use the link below. ©2019 Minerva Project, Inc. All Rights Reserved.